Asia‐Pacific gold development company Nusantara Resources Limited (ASX:NUS), has completed the Definitive Feasibility Study (DFS) for its 100% owned Awak Mas Gold Project located in South Sulawesi, Indonesia. The DFS supports an initial eleven-year project with the 2.5 Mtpa processing plant targeting annual gold production of around 100,000 ounces, delivering strong margins. The mining operation will include two open pit mines with an initial 11-year life, and a low project strip ratio of 3.5. The DFS base case determined a post-tax NPV of US$152 million, with a 20.3% IRR using a gold price of US$1250 per ounce. This included an initial capital cost of US$146 million, and an All-In Sustaining Cost (AISC) of US$758 per ounce. NUS note the potential for improvement in project economics in the near-term as further infill drilling is completed and extensions to current deposits are drill tested. However, it does remain a speculative stock and caution should be taken when deciding whether to engage in this product, however if you are not sure whether it is suitable for you we suggest you seek independent financial advice. 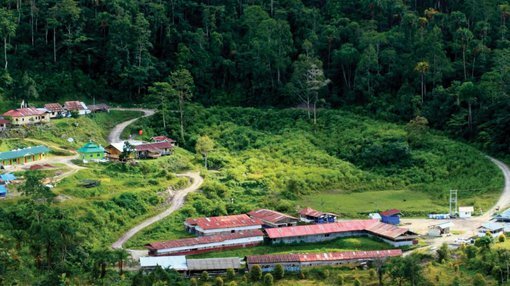 The DFS has identified the potential for an uplift in grade for the Awak Mas and Salu Bulo deposits as further drilling is undertaken to lift the reserve category to Measured status in the initial mining areas. Any grade uplift has a material impact on project economics. 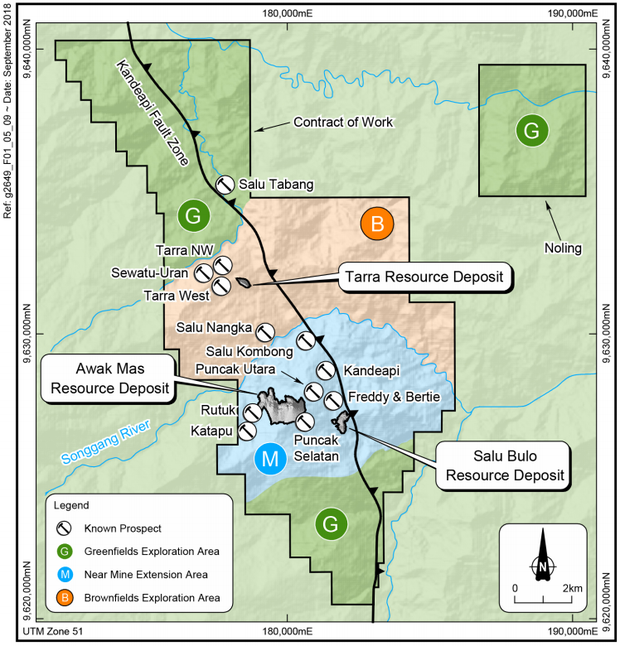 In addition, known extensions to the Awak Mas and Salu Bulo deposits and inclusion of the Tarra deposit into the mine plan have the potential to extend the mine life. Scenario financial analysis of these near-term opportunities shows a 7% grade uplift and an additional three years of mine life (from known mineralisation extensions at Awak Mas and Salu Bulo and inclusion of the Tarra deposit into the mine plan) could significantly enhance project economics, resulting in a Project NPV in the vicinity of US$250 million, and an IRR of approximately than 25%. For now, the focus is on securing a strategic partner and arranging financing for the development of the project. In the meantime, exploration continues to identify new targets and is testing known prospects which have had minimal historical assessment. Along with the DFS, the company also provided the market with an exploration update on the Awak Mas Gold Project. The immediate exploration focus for 2018 is exploring Near Mine prospects within a three kilometre radius of the proposed processing plant with the aim of extending the proposed eleven-year mining operation. The program also includes the re-processing of previously acquired geophysical data which is demonstrating considerable potential for further discoveries across the entire Contract of Work (CoW) area. 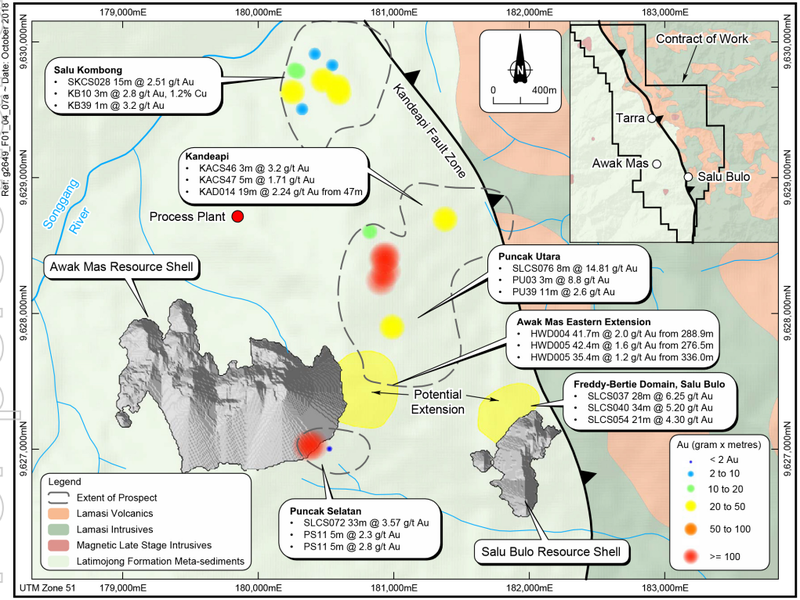 Significant gold and copper results from surface and trench samples adjacent to the Awak Mas and Salu Bulo deposits which enhance near mine exploration prospectivity. Three significant new gold and copper outcrops identified on intrusive related quartz veining covering an area of approximately 250m x 100m. Assay results of up to 2.8 g/t gold and 1.2% copper sampled on extensive structures. Nearby magnetic intrusive unit mapped, strong local geophysical signatures revealed. Manually excavated trenches confirm mineralisation with grades up to 11.0 g/t gold. Broad continuous zones of mineralisation, up to 12m at 2.39 g/t gold. Extensive area of gold anomalism now defined over large footprint, approximately 750m x 1500m. First pass manually excavated trenches confirming surface mineralisation, up to 5.3 g/t gold. Geological model showing significant potential between Awak Mas and Salu Bulo. Intrusive related mineralisation now confirmed at Salu Kombong, where newly reprocessed geophysics highlights multiple intrusive targets in near-mine areas and across the CoW area. The recent exploration results are extremely encouraging, which combined with extensive historic sampling, confirms the prospectivity of near mine areas and will be the focus of further mechanical trenching by excavator and subsequent drill targeting. A number of untested or largely untested exploration prospects that have the potential to be satellite deposits have been identified within the area, both adjacent to the planned two initial open pits containing a 1.1Moz Ore Reserve and near to the proposed processing plant site. Spreadborough said, “The completion of the DFS allows a shift in focus to CoW exploration. 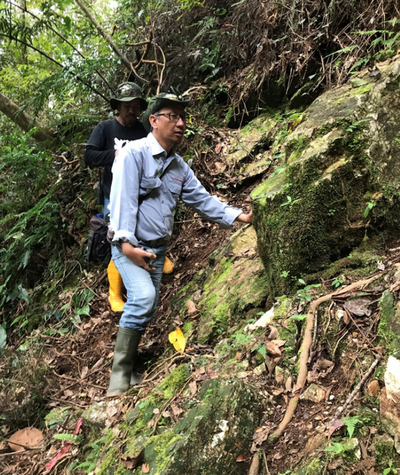 These promising early exploration results demonstrate the potential of the Awak Mas Gold Project to grow organically and provide potential high-grade satellite operations to augment production from the existing deposits. Our confidence in the exploration model, together with renewed focus on geophysics and the possibility of further and substantial discovery, add enormously to the future long-term viability of the project.